I know the election is over - but we have a new fund raiser here at the post and it all focuses on giving you all the opportunity to cast your votes. You are all aware that we are almost finished with the back hall project and now we need to work on naming the hall because let's face it calling it the "back hall" just isn't going to cut it. We wanted to give you all the opportunity to weigh in and thought why not turn this into a fun fundraiser. 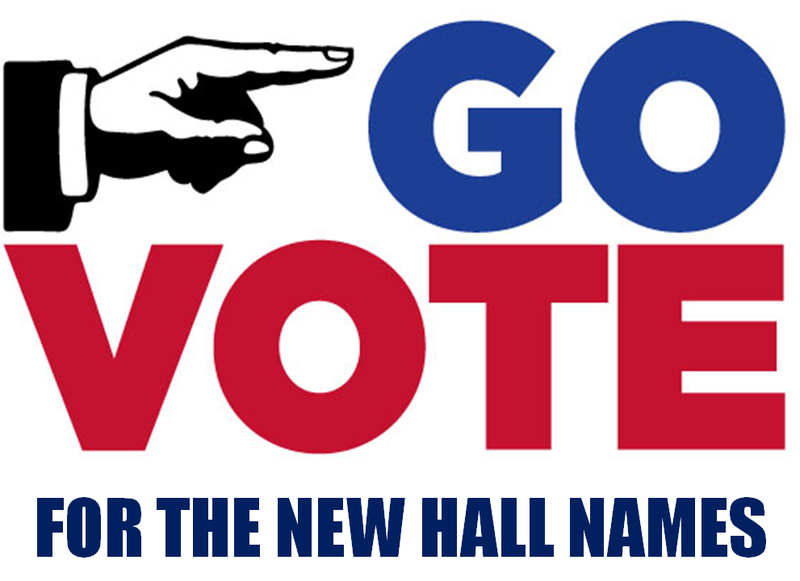 So starting this weekend there will boxes available in the main canteen for you all to vote on the new name. You cast your votes by placing money in the box with the name you like best. We will be naming both the main canteen and the back hall. As of right now we have suggestions of Liberty / Freedom and North / South, If you have any other suggestions please let me know. All funds raised will be donated to the Department Commander charity which focuses on providing relief for Women Homeless Veterans in the state of Florida. It's almost time to Deck the Chairs and Post 129 has been hard at work. They will set up our chair on Friday, November 23rd. After that is when we need your help. There are a few days that the event will be taking votes on who's chair is the best. That is when we need you to make the effort to visit Latham Plaza and let them know that you are voting for our chair. Please mark your calendars and plan on visiting the event so you can cast your vote. Voting days are listed below, all voting takes place from 5 pm to 9 pm. 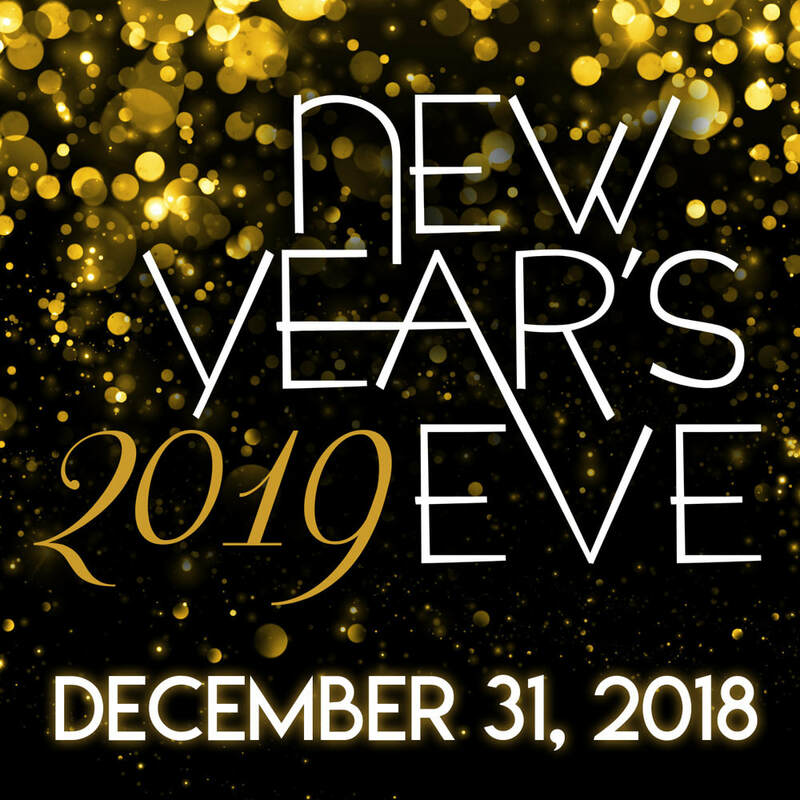 Plan on celebrating the New Year with us here at Post 129 we always have a great time and always have a few surprises in store for the evening. 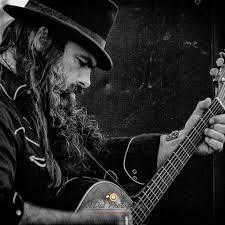 Remedy will be here to entertain us from 8 pm to 12 pm. There will NOT be a cover charge this year. It is a no fuss party. 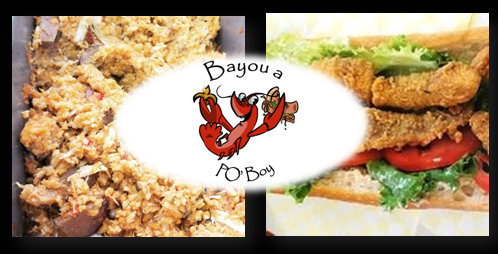 On Saturday, December 29th we will have the Bayou a Po' Boy truck here at Post 129. Traditional and unique Cajun and South Louisiana Acadian Foods. This food truck menu includes favorites, like Fried Shrimp, Smoked Andouille Sausage with Smothered Onions, Fried Catfish, and Alligator Tail PO Boys. Seasonal Cajun Favorites include; Chicken & Sausage or Seafood Gumbo, Jambalaya, Dirty Rice, Red Beans & Rice, and Pork Grillades. “I love my Post Clean Up” will be held Saturday, December 29th. We will be starting at 8 am and will be done no later than 11 am. Please see Joe or Jim with any questions. 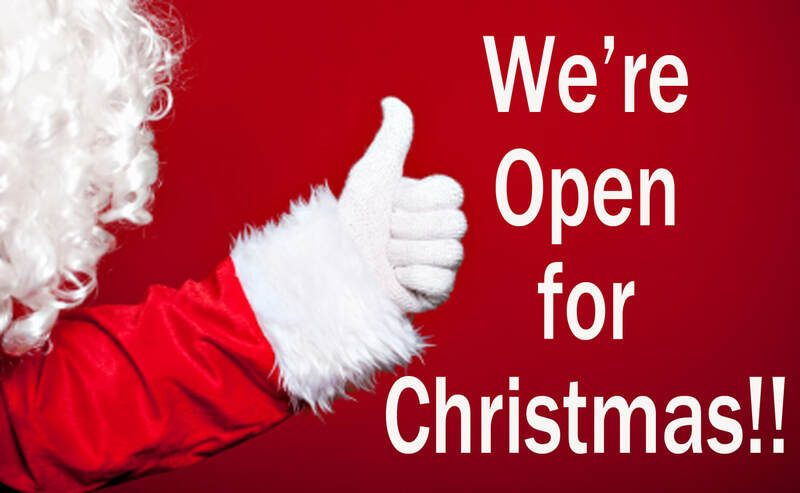 Yes we will be open for Christmas! We will open at noon so be sure to stop by and celebrate the holiday with your Post family. 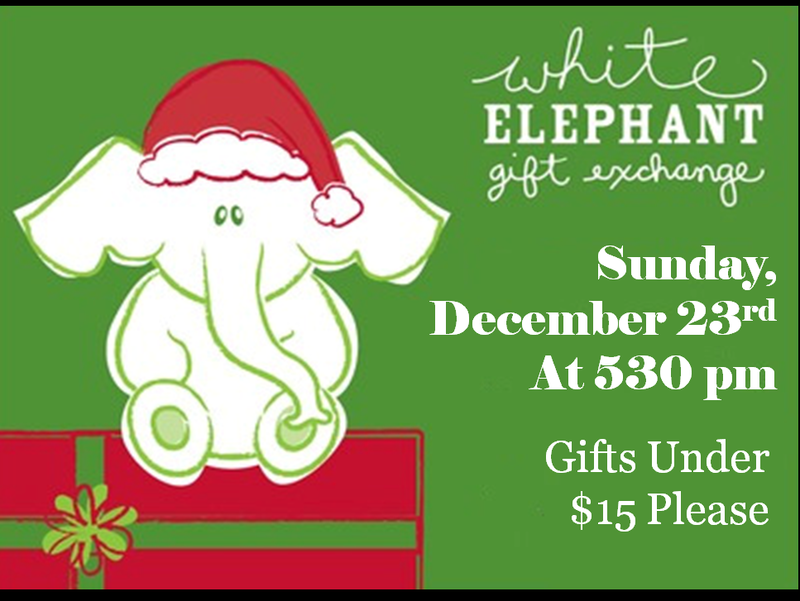 This year at our Annual Christmas Eve Party we will be holding the white elephant gift exchange again. So bring a gift and join the fun, there will be something for everyone. We ask that everyone brings a a gift of fifteen dollars in value. Re-gifting is strongly encouraged. The more outrageous the gift, the better. 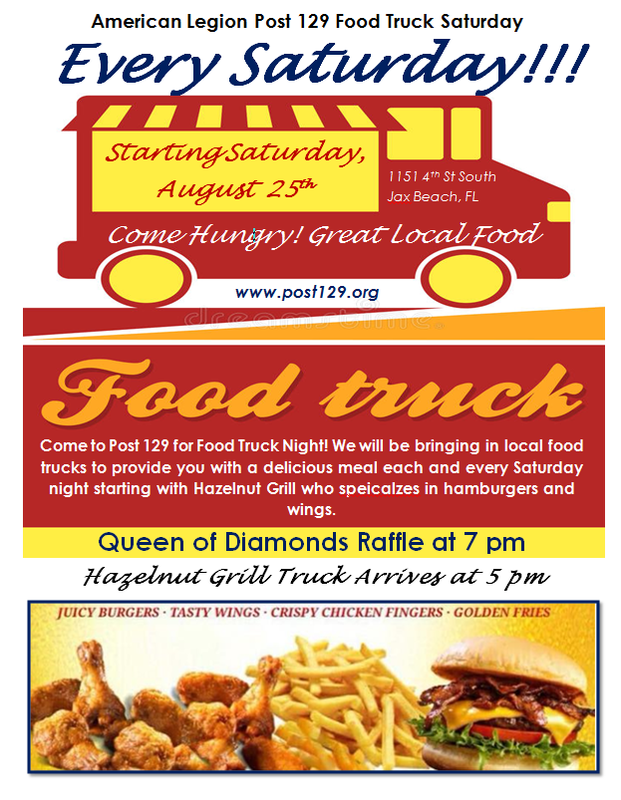 On Saturday, December 22nd we will have the Hollee Mollee food truck here at Post 129. 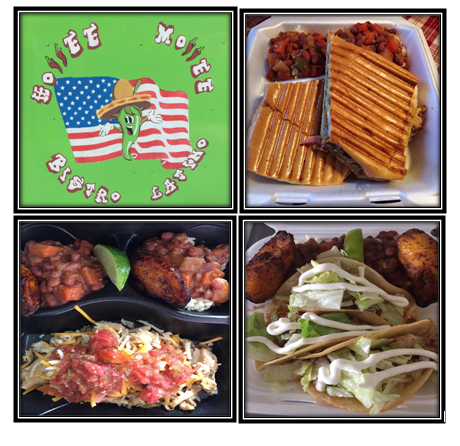 This is a Tex-Mex food truck with a Cuban flare - delicious and affordable! Picadillo made with beef, olives and raisins; fried chicken tops corn tortillas stuffed with cheese to mention a few. Their Pica de gallo is made fresh everyday with all the Tex-Mex flavors. The cuban sandwich is authentic and the fried pork is awesome. Rice, beans come with every dish and sweet plantains are on the side. ​Check out their Facebook page by clicking here. Be sure to join us on Friday, December 21st for the SAL dinner and Music by a new band for us by the name of Bay Street starting at 7 pm. Bay Street first performed in 1987. Over the years, the group became well known for genre bending exploring R&B, Rock, Soul, Jazz, Jam, Pop, and all points in between. 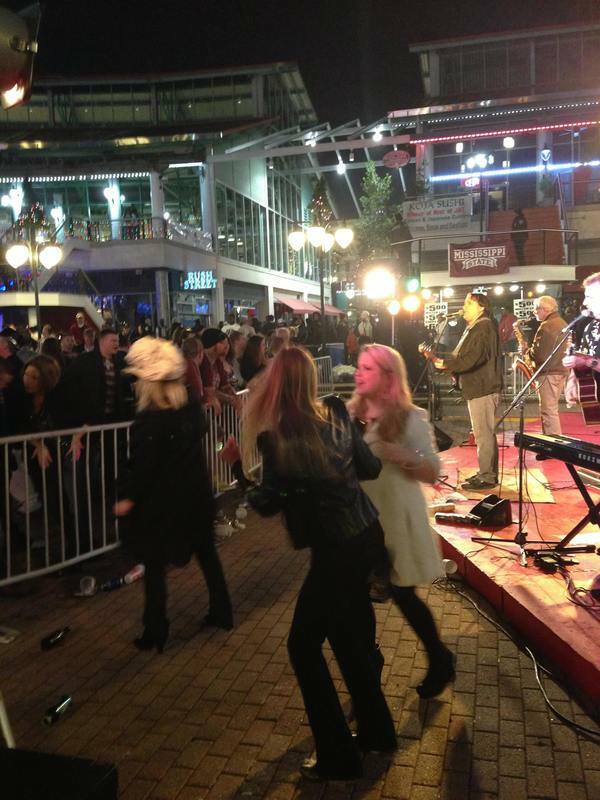 Bay Street has been named three times as Jacksonville's favorite band. You may have seen them preform in the past at Ragtime, the Landing or at Dancing in the Streets. We are lucky to have them preforming here at Post 129 and hope that you all mark your calendars and plan on coming out. Steak bingo of course will be held at 630 pm and the SAL will be giving away prizes from Fresh Market so you know it will be delicious. 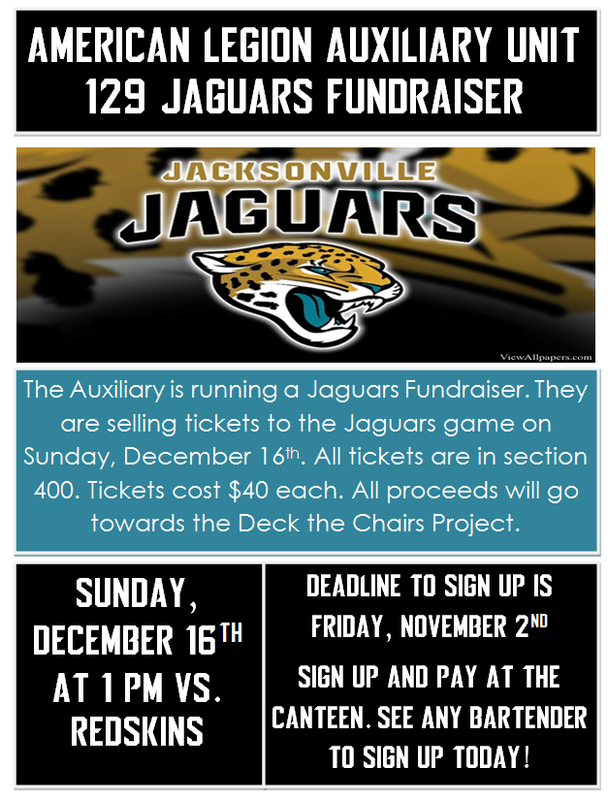 ​The Auxiliary is running a Jaguars Fundraiser. They are selling tickets to the Jaguars game on Sunday, December 16th. All tickets are in section 400. Tickets cost $40 each. All proceeds will go towards the Deck the Chairs Project. Deadline to sign up is Friday, November 2nd - Sign up and pay at the canteen. See any bartender to sign up today! 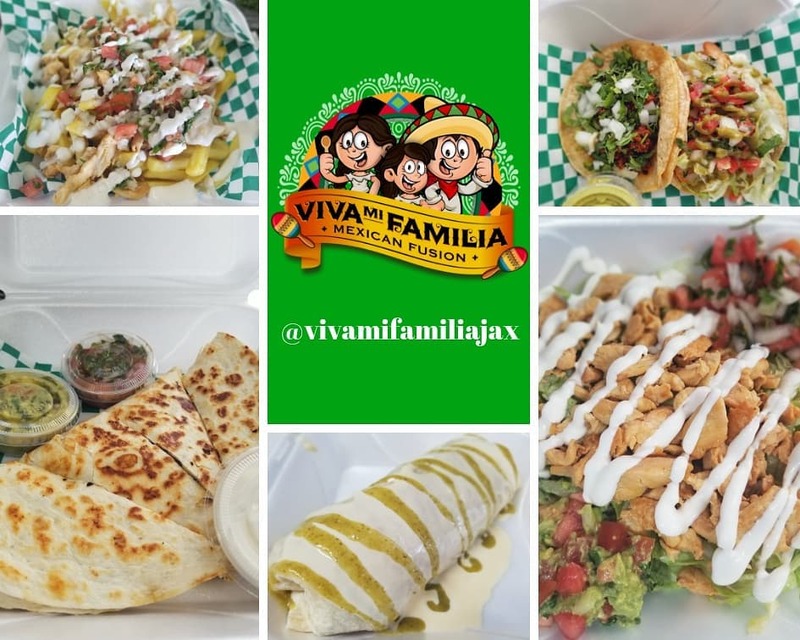 On Saturday, December 15th we will have the Viva Mi Familia food truck here at Post 129. This is a new Mexican Fusion food truck. Serving everything made from scratch and using family recipes from their family back in Mexico and Peru. Following their passion for the culinary arts and with almost 10 years of experience in the Food Industry their priority is to provide high quality homemade food in a family friendly atmosphere. Try their fresh made tacos, burritos, quesadillas and more! 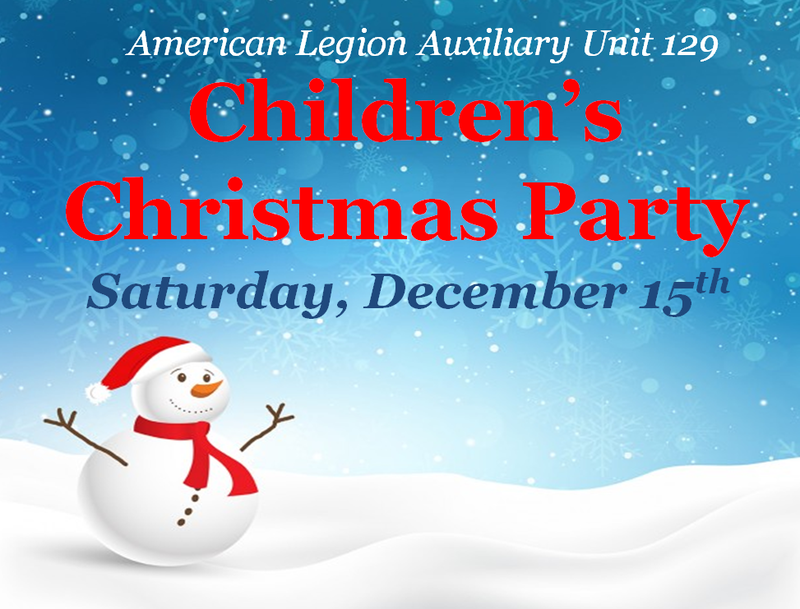 The Auxiliary will be holding their third annual Mele Kalikimaka – a luau for Christmas on Friday, December 14th. So mark your calendars and plan on joining us. 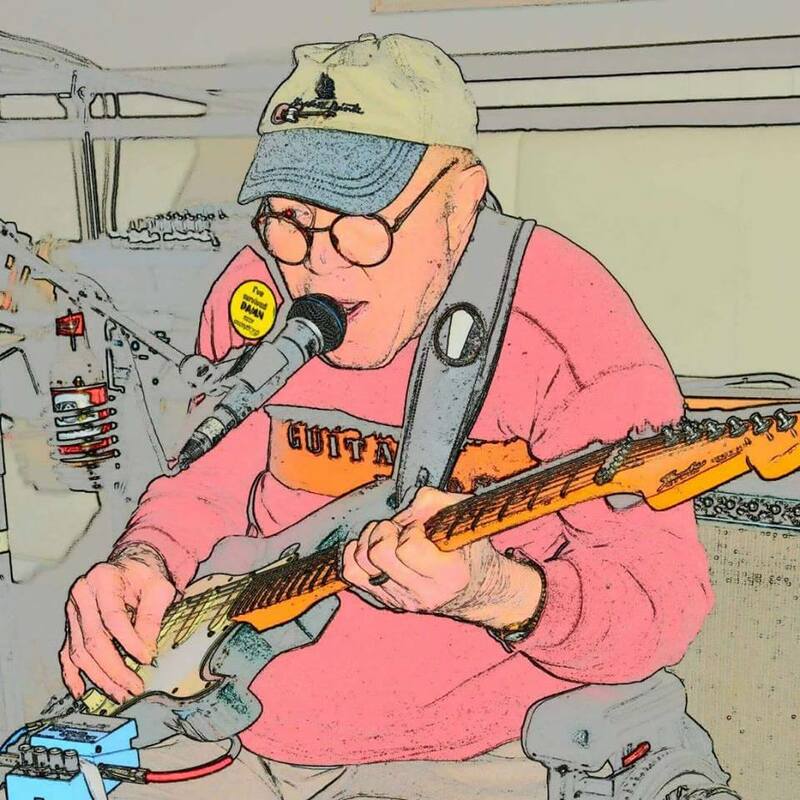 Guitar Red and the Red Hots will be here with live music starting at 7 pm and are wound up and ready to cut loose, so come on out and join the fun! And of course we will have steak bingo at 630 pm. The Bloodmobile will be onsite here at The American Legion Post 129 starting at 11 am on Saturday, December 8th. Every minute of every day, someone needs blood. 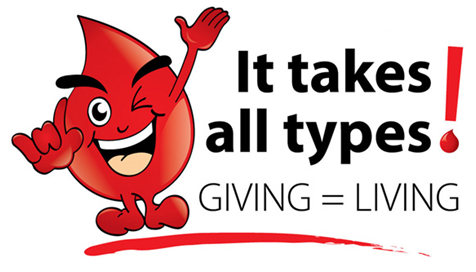 That blood can only come from a volunteer donor, a person like you who makes the choice to donate. 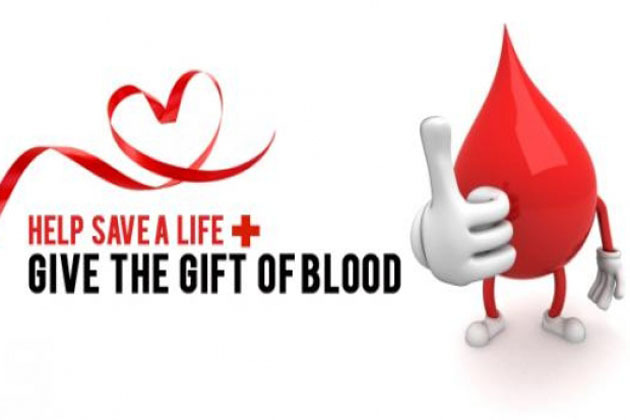 Give the gift of life, sign up to donate blood today. Please see Linda Wilshire to sign up in advance. 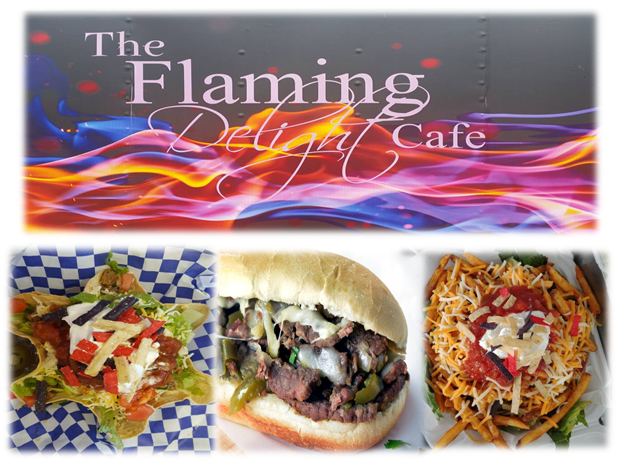 On Saturday, December 8th we will have the Flaming Delight food truck here at Post 129. Jacksonville's own, The Flaming Delight Cafe proves that you don't need to be in Philadelphia to enjoy an authentic cheesesteak. But that's not all. This food truck knows what you're craving in comfort food. American classics wouldn't be classic if it weren't for the addition of one thing: cheese. The Flaming Delight has plenty of it to melt on burgers, drizzle on nachos, and top off taco salads. Look out Florida. Things are about to get a whole lot cheesier. 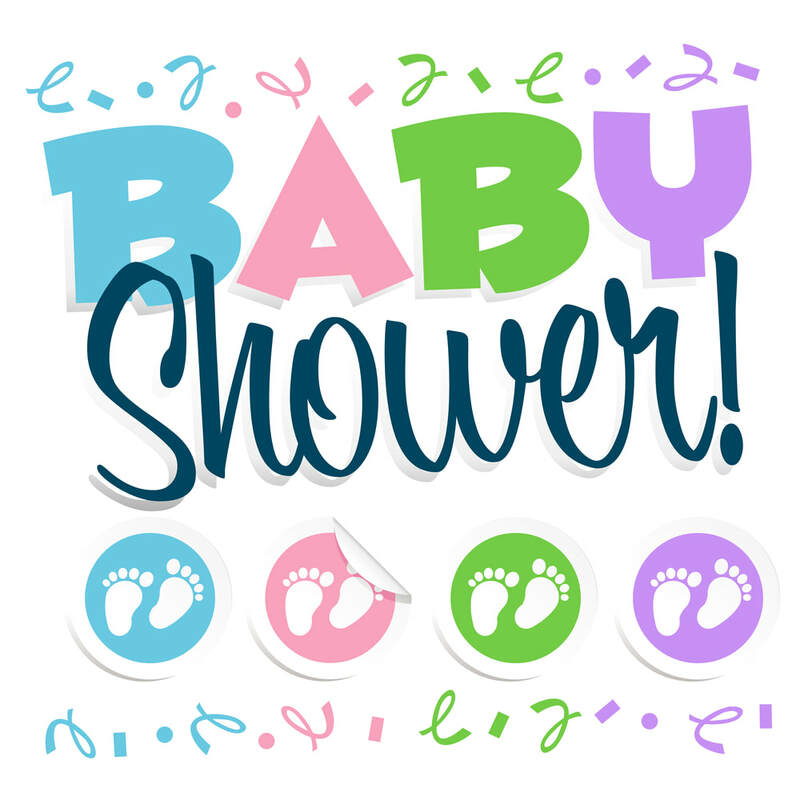 The Auxiliary along with Final Salute will be hosting a baby shower on Saturday, December 8th at Post 283 for women Veterans in the Jacksonville area who are expecting a new bundle of joy. We all know there are additional needs that come with a new baby and the Auxiliary is here to help. There are 36 women registered at this time and could be up to 50 at the time of the event. Please have all donations at the Post by Thursday, December 6th. Be sure to join us on Friday, December 7th for the Legion dinner and Music by Remedy. The Legion will be serving up Turkey Pot Pie. 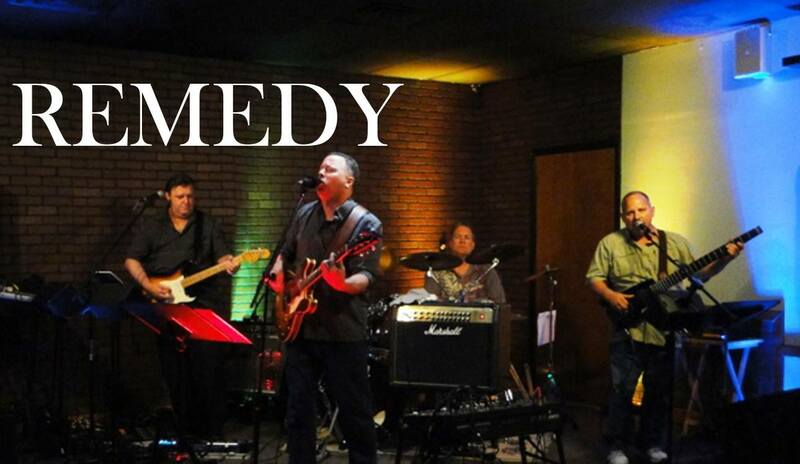 The band Remedy will start at 7 pm and will keep you up and dancing all night long! They have played twice before and everyone loved them so be sure to come on out. 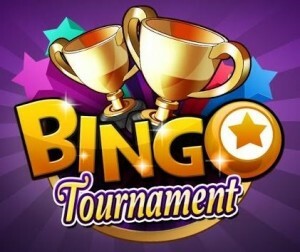 ​Steak Bingo will of course be held at 630 pm. Hammer & Stain will be here at Post 129 and will host our event where guests transform unfinished wood into wall worthy pieces. Their instructor guided classes make it fun and easy to create a piece you will love! All you have to do is bring yourself and your friends. The workshop operates similar to a paint night but unlike a typical instructor-led painting class where all participants paint the same canvas, they mix things up and you have creative control over the sign you are painting! Choose from as many different sign options and walk away with a gorgeous wall-worthy sign you'll be shocked to know you made yourself! Sign up now available. Click on the below link to be directed to Hammer & Stains website. You MUST sign up in advance on their website since each person will pick their own project. Christmas cards are needed for our troops. Please take some time to purchase and fill out holiday cards with thankful messages for our military men and women. The deadline for Christmas card drop off at the Post is Satruday, December 1st. On Saturday, December 1st we will have the Cuban Fire Grill here at Post 129. 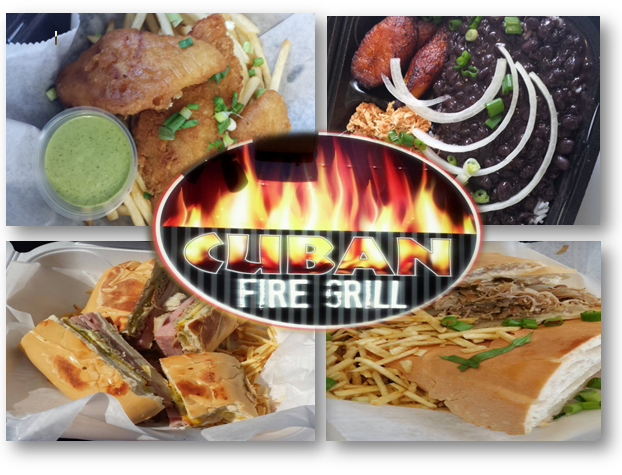 Fire up your appetite, because Cuban Fire Grill's bringing the heat with their authentic cuisine served fresh off the food truck in Jacksonville, FL. Their traditional menu offers the comfort of a hearty meal found only in Cuba at the convenience of ordering from their window. 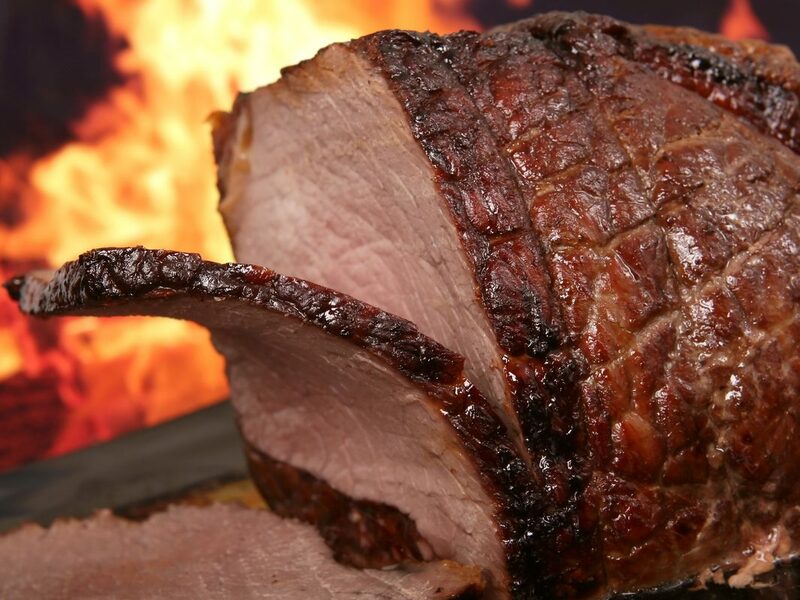 At Cuban Fire Grill, you'll find the staples of Cuban cuisine, from low and slow cooked pork to seasonally spiced black beans and rice, or if a sandwich is more up your alley, the ham and cheese cubano is a perfect palate pleaser. Either way, you won't be burned by your choice to dine at this fiery food truck. This month is the Cabane's month for a raffle. They are selling tickets for their "Whiskey Time" basket. 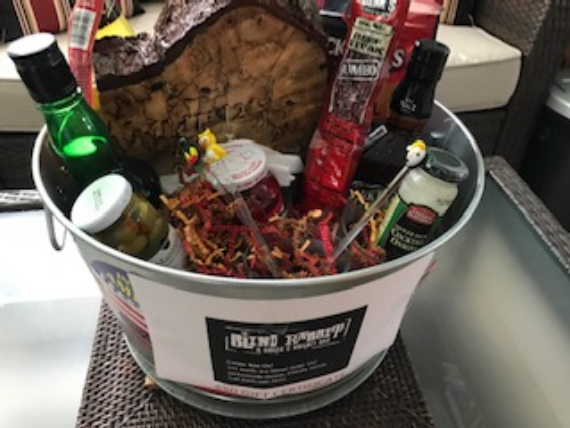 The basket includes a $50 gift certificate to Blind Rabbit - Whiskey & Burger Bar, Handmade Wooden Clock, Irish Whiskey, Jack Daniels, Sour Mix, Four Glasses, Shaker, and Assorted Accompaniments. Tickets are on sale at the canteen $1 for one ticket or $5 for six tickets. The night of the raffle is also the Cabane's dinner. They will be serving up baked ziti served with salad and garlic bread. The band will be Collage starting at 7 pm and of course we will have steak bingo at 630 pm. I've also heard rumor that the Cabane will also be having a bake sale that evening. So be sure to plan on coming out as there will be a lot going on that night that you won't want to miss. On Saturday, November 24th we will have Khloe's Kitchen Food truck here at Post 129. It is a modern pop up dining, southern inspired food truck, with a changing menu. Be sure to come out and see what they have prepared for us. Join us on Thursday, November 22rd for Thanksgiving Dinner. Terry will be hard at work in our kitchen so that you don't have to! No Cooking, No Cleaning, No Covered Dishes! Just a great meal with great friends! If purchased in advance dinner is only $9.00! Reservations MUST be made by Friday, November 16th. Sign up will be available at the Post starting at the end of October. Saturday, November 17th we will have the Alma's food truck here at Post 129. 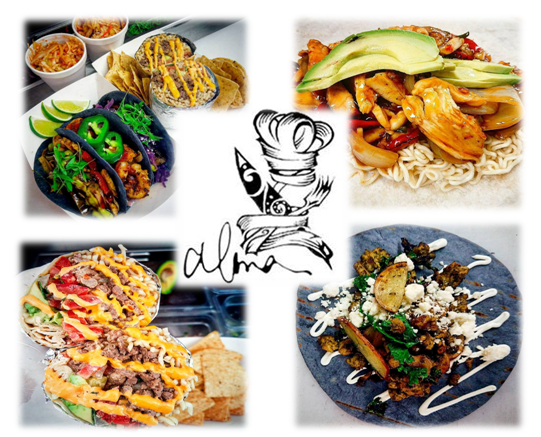 Alma Food Truck loves all food, just like you, and they have made their culinary dreams come true by combining their favorites into a food truck. You can enjoy their chicken, steak, pork, shrimp and vegetarian (vegan/gluten free as requested) options in the perfect marinated sauce with a twisted fusion touch. Served on innovatives gourmet tacos, ramen burritos and rice bowls. Join us on Friday, November 16th for the ALR dinner. They will be serving up smoked pork loin with green beans, cheesy potatoes and a roll for only a $8 donation. A new band will be here called Sidewalk 65 - I hear they are fabulous so be sure to come on up and check them out. And of course we will have steak bingo at 630 pm. 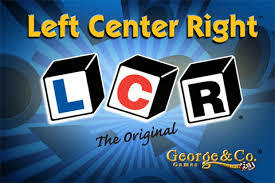 I can't believe it's been 4 months since our last LCR game - I'm thinking it's that time again. We will hold one game with $5 scratch offs and possibly a second game with $10 scratch offs on Tuesday, November 13th at 6 pm. Sign up will be available in the main canteen starting in November. Additional information can be found by click here. 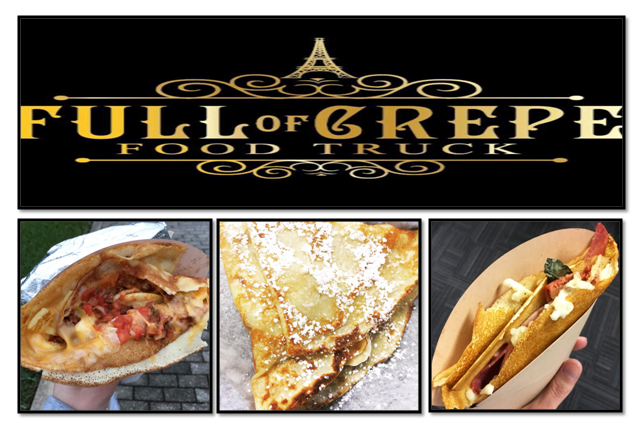 ​On Saturday, November 3rd we will have the Full of Crepe food truck at the Post. Their specialty is crepes - of course. Now when you think crepes, you might automatically think dessert. Full of Crepe does offer a lineup of sweet crepe classics like Crepe Suzette and Bavarian Creme. But they also boast a full menu of savory lunch/dinner worthy options to suit any palate. Some of the crowd favorites include the Italian crepe and the Monte Cristo crepe. The Italian is a meaty, melty combo of salami, pepperoni, cappicola, and sundried tomato, all held together with mozzarella and topped off with a balsamic drizzle. It is savory and rich and pretty much perfect. Looking for something more classic? Try the Monte Cristo crepe, which has ham, turkey, and mozzarella cheese. This savory crepe is accented by a tart and sweet raspberry preserves and a dusting of powdered sugar. It is a great twist on the standard Monte Cristo and makes for a tasty and indulgent meal. The ALR has the raffle for the month of October. 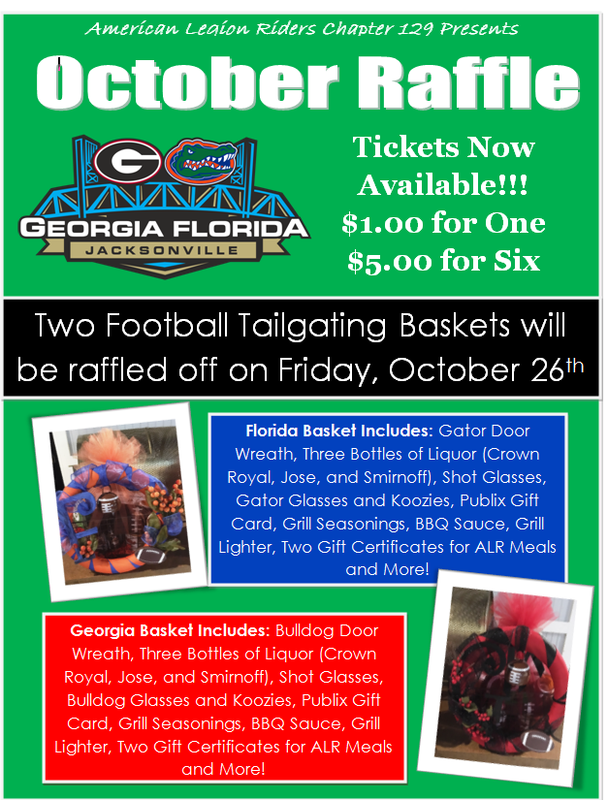 They are raffling off two tailgating football baskets. One Florida Gator themed and one Georgia Bulldog themed. Raffle will be held on Friday, October 26th. Tickets cost $1 for one ticket, $5 for six tickets. Get your tickets today! 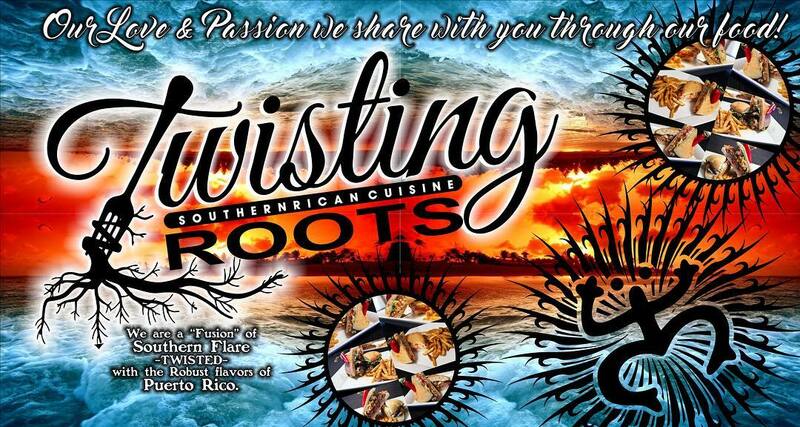 Saturday, October 27th we will the Twisting Roots food truck here. They are a fusion of Southern Flare twisted with the robust flavors of Puerto Rico. They strive to share their love and passion they share with you through their food. You can check out their menu by visiting their Facebook page by click here. The annual Halloween party will be held Friday, October 26th. 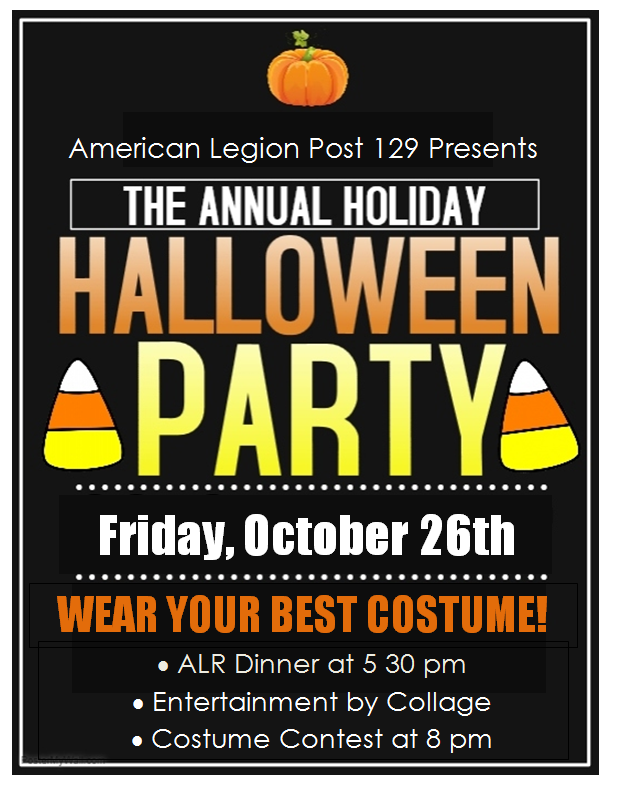 Collage will be the band that night and we of course will have our annual costume contest. 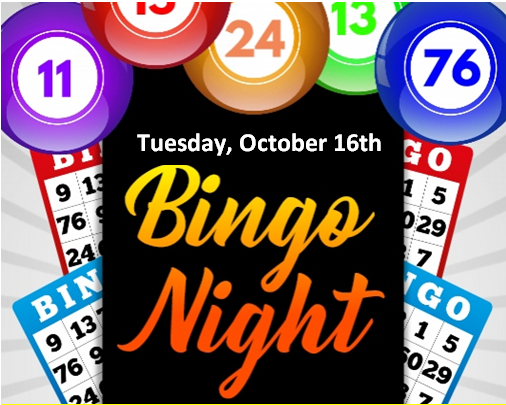 The ALR will be serving chicken & cheese enchiladas with black beans & yellow rice for only $8 and of course we will have steak bingo at 630 pm. So start thinking about those costumes. New dart league starts on Tuesday, October 23rd. Registration begins at 6 pm, regular play starts at 7 pm. New members are always welcome. See Richard with any questions. Post 129 is proud to host the Lion's club Bark-tober fest for the 4th year. Please join us for a Fun filled evening of Fellowship to support this outstanding organization! Enjoy a night out featuring Great Food, Music and dancing, Raffles, Door prizes and more ! 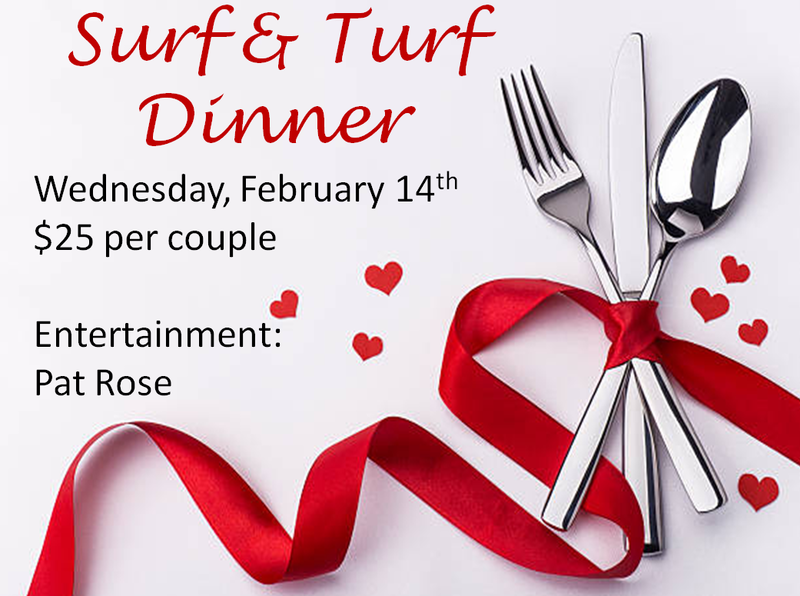 Dinner will be catered by Carrabba's Italian Grill and musical entertainment provided by the band What Four. 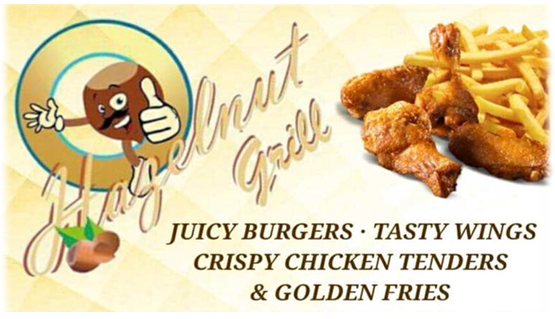 On Saturday, October 20th we will have the Hazelnut Grill food truck back who specializes in burgers and wings So plan on coming in hungry and grabbing some great local food. 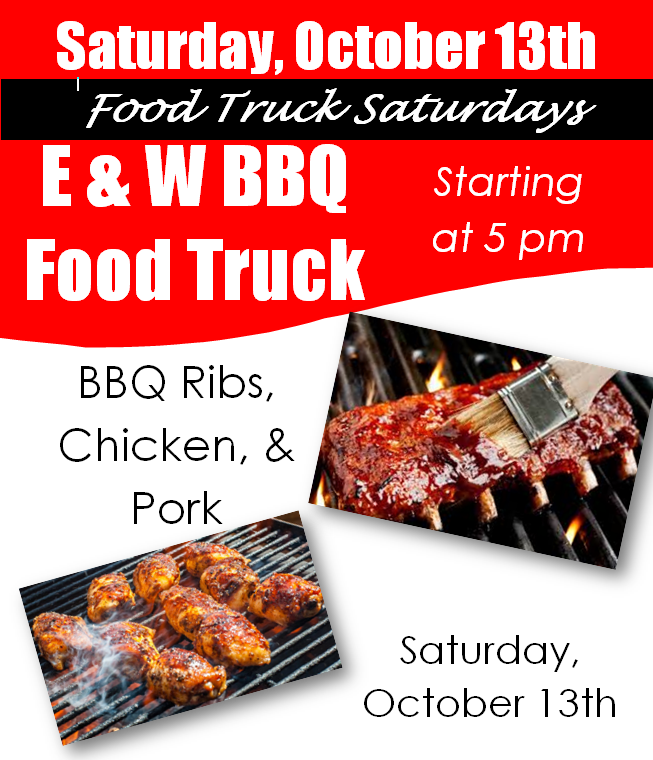 Saturday, October 13th we will have the E & W BBQ food truck here at Post 129. 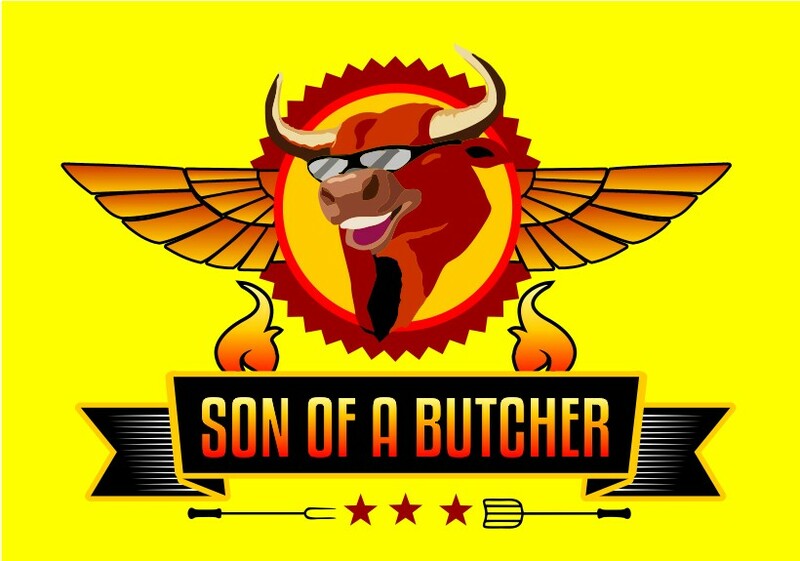 They specialize in BBQ so be sure to stop by and grab some dinner before the Queen of Diamonds raffle. 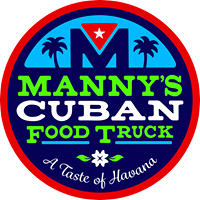 ​Saturday, October 6th we will have Manny's Cuban Food Truck here. Manny wants to share the joy of both authentic Cuban food as well as fun new dishes that they have created in years of making food for their own family. So plan on coming in hungry and grabbing some delicious food. 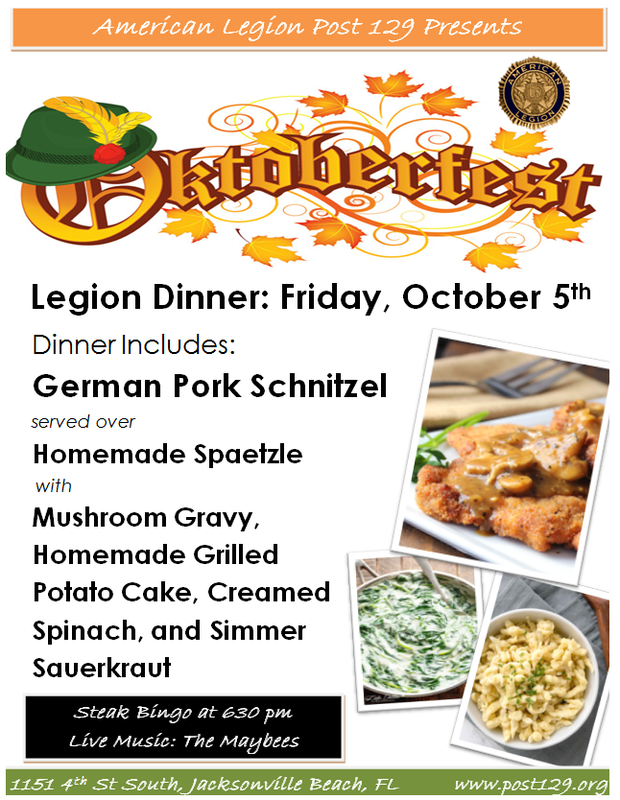 Join us on Friday, October 5th for the Legion Oktoberfest Dinner. Terry and crew will be in the kitchen cooking up German Pork Schnitzel served over Homemade Spaetzle with Mushroom Gravy, Homemade Grilled Potato Cake, Creamed Spinach, and Simmer Sauerkraut. The band The Maybees will be here to entertain you and of course we will have steak bingo at 630 pm. The Bloodmobile will be onsite here at The American Legion Post 129 starting at 11 am on Saturday, September 29th. 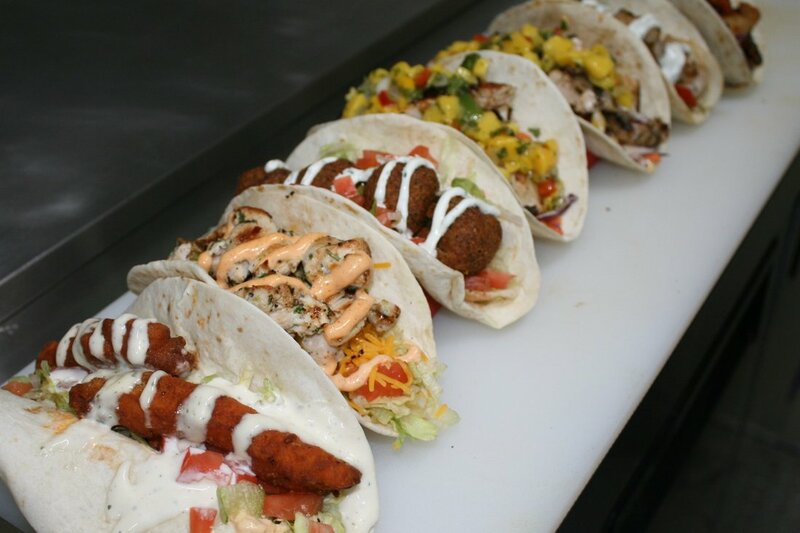 ​Saturday, September 29th we will have Chinchilla's Eats on the Streets truck here. Chinchilla's Eats On The Streets is a family business serving Jacksonville with deliciousness and love. Serving up tacos, burritos, burgers, pulled pork, quesadillas and more! Come to Post 129 for Food Truck Night! We will be bringing in local food trucks to provide you with a delicious meal each and every Saturday night. Saturday, September 22nd we will have the Tboyz Taco & Wrap food truck here. Christopher and Michael Turner (who own and operate the truck) are two talented, creative brothers who are taking inspiration from different cultures to create uniquely flavored tacos. While they have only been operating for a short time they both have over 25 of years of experience in the culinary field. If you have been fortunate enough to sample their food then you know that every bite is delicious and filling. The Tboyz put their heart and soul into all of their creations and look forward to serving all of you. 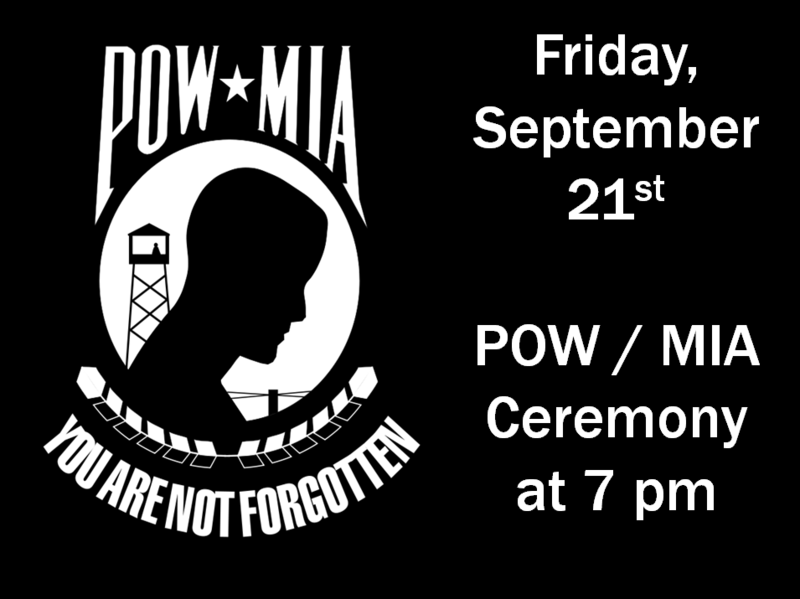 Join us on Friday, September 21st at 7 pm for our POW/MIA ceremony in the main canteen. Followed directly by a cake cutting ceremony to celebrate the Air Force birthday. Come to Post 129 for Food Truck Night! We will be bringing in local food trucks to provide you with a delicious meal each and every Saturday night. 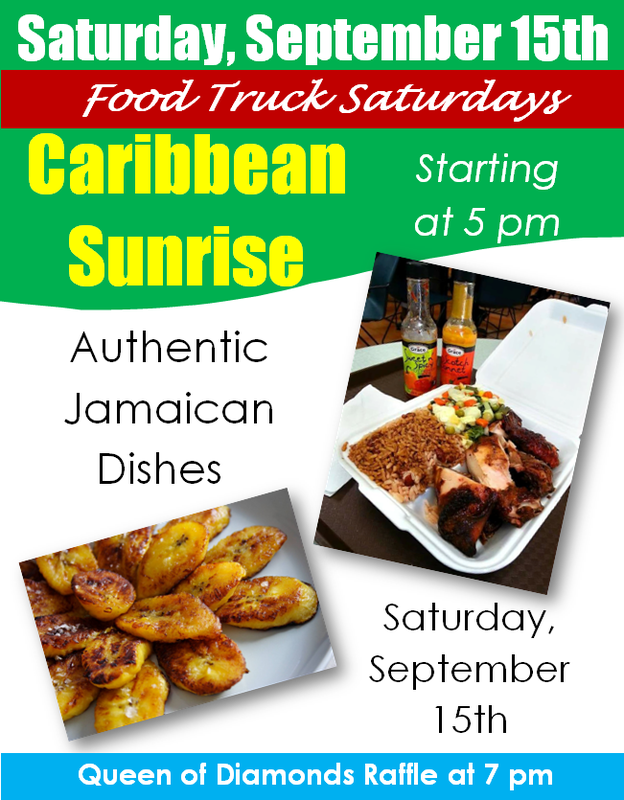 Saturday, September 15th we will have the Caribbean Sunrise truck here who specializes in authentic Jamaican dishes. So plan on coming in hungry and grabbing some great local food. 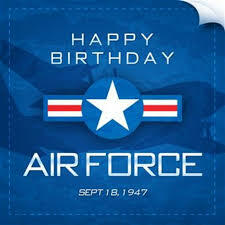 Happy Birthday Post 129!!! 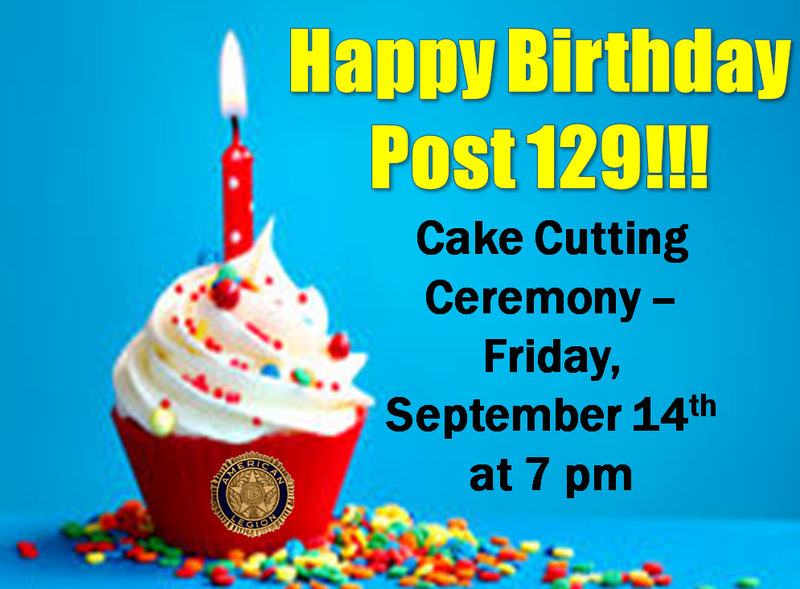 Help us celebrate the post you all know and love at our cake cutting ceremony on Friday, September 14th at 7 pm. Football season is right around the corner! Remember we are your front row ticket to the game! 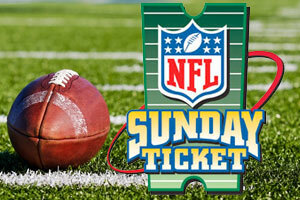 With the NFL ticket and Nine Large Flat Screen TV's you will never miss a play by your favorite team! The ALR will be back in the kitchen serving up their famous wings so plan on making Post 129 you football headquarters. Come to Post 129 for Food Truck Night! We will be bringing in local food trucks to provide you with a delicious meal each and every Saturday night. 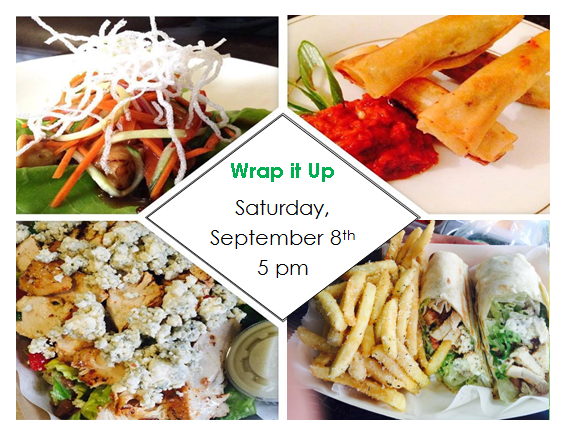 Saturday, September 8th we will have the Wrap it Up Truck here who specializes in fresh, hot, panini-pressed wraps and salad bowls made-to-order just the way you like. So plan on coming in hungry and grabbing some great local food. Come to Post 129 for Food Truck Night! We will be bringing in local food trucks to provide you with a delicious meal each and every Saturday night. Saturday, September 1st we will have the Mother Truckin' Pizza truck here who specializes in pizza, calzones, and toasted subs. So plan on coming in hungry and grabbing some great local food. Come to Post 129 for Food Truck Night! We will be bringing in local food trucks to provide you with a delicious meal each and every Saturday night starting with Hazelnut Grill food truck who specializes in burgers and wings So plan on coming in hungry and grabbing some great local food. It’s hot outside! No need to chase down the ice cream truck we will bring it to you. Join us on Saturday, August 18th starting at 5 pm for a special refreshing treat. 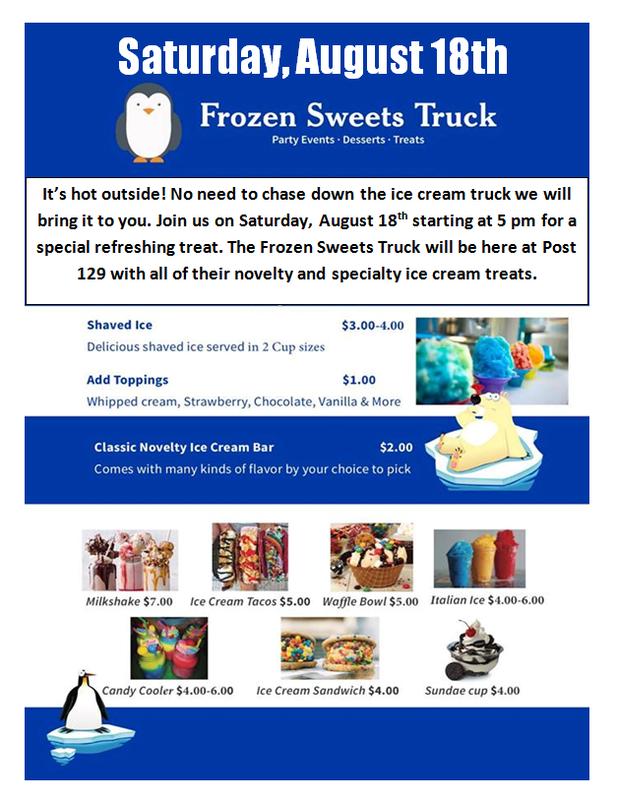 The Frozen Sweets Truck will be here at Post 129 with all of their novelty and specialty ice cream treats. 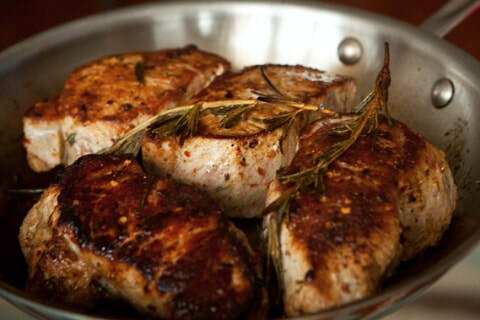 The SAL will be serving up herb roasted pork chops with garlic potatoes and a roll for only a $8 donation. Since this is the SAL dinner night there will also be steaks and road kill from Fresh Market for steak bingo. The band is our new entertainment the Litt Family band. If you love loud rock and roll then this is the band for you. Ask anyone who was here last month and they will tell you how fantastic they were. Be sure to come out and experience it for yourself! 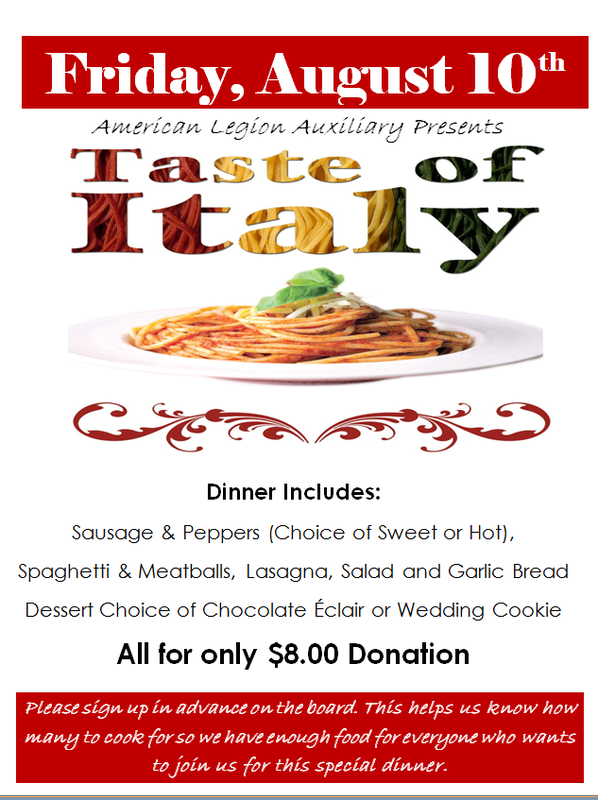 The Auxiliary is putting together a special Taste of Italy dinner for Friday, August 10th. The menu includes Sausage & Peppers (Choice of Sweet or Hot), Spaghetti & Meatballs, Lasagna, Salad and Garlic Bread Dessert Choice of Chocolate Eclair or Wedding Cookie. All cooked in true Italian fashion for only $8.00! I promise this is a meal that you will not want to miss. We are asking for you to sign up in advance on the board in the canteen so we make sure we have enough food for everyone. 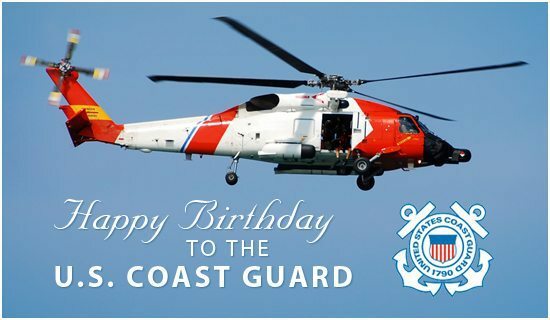 Join us on Friday, August 3rd at 6 pm for a cake cutting ceremony to celebrate the Coast Guard Birthday. What taste better in the heat of summer than a nice cold beer? With that in mind I was thinking about taking a group outing to visit some breweries in August if we have enough people interested. Let me know your thoughts by filling out the survey on our website at the below link. 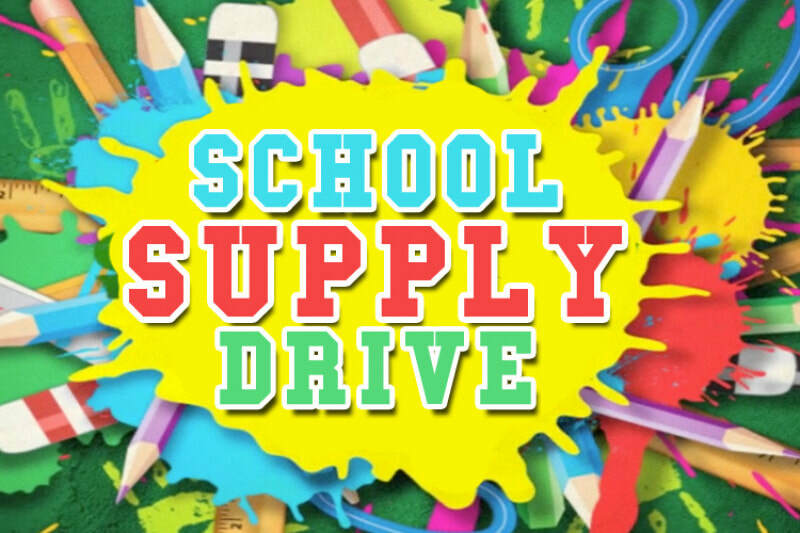 The ARL is holding a school supply drive for the month of July. All donations can be placed in the blue bin in the main canteen area located near the stage. Donation will be given to local beaches schools. We want to ensure that the children in our community have the essentials to learn and succeed in school. Suggested items are listed below. Our kitchen will be closed this week due to construction. We will however be trying to at least give you something to munch on at least for dinner. So please come on in a grab something to eat and have a cocktail. 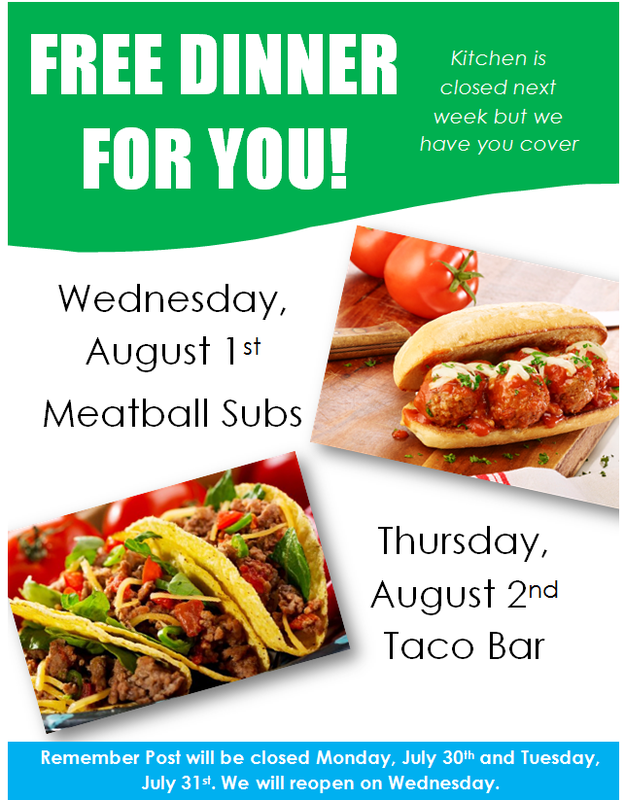 No charge for any of the food on Wednesday or Thursday. We know that with all of this construction, inside and out, that sometimes it can be inconvenient or easier to go somewhere else and we appreciate each and everyone one of you that continues to show your support to Post 129. It is because of members like you that we will continue to grow and come out stronger in the end. 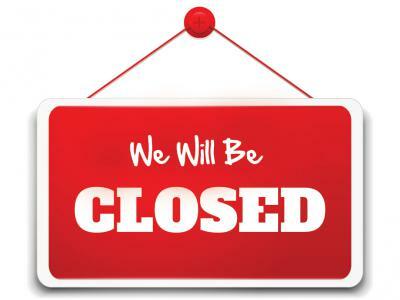 The Post will be closed on July 30th and 31st due to the electric upgrade that will be happening. We will re open on Wednesday, August 1st. The kitchen however will remain closed for the week with the plan to reopen on Saturday for lunch. As we did last week we will have some type of food available to munch on. As that week grows closer and the plan comes together I will keep you informed. ​On Sunday, July 29th we will be holding our annual installation of new officers. At this time due the condition of the back hall the event is being planned for the main canteen area. If this happens we ask that everyone be respectful of the ceremony as this is something that only happens once a year. ​There not only will be the installation for all of the organization new officers but each organization will be taking time to recognize members that made a difference over the past year. This Post is what it is because of each and every one of these organizations and its members. All members are encouraged to attend the installation but please remember that during the program we will be asking for your attention and best behavior. I believe it's that time again! Join us for our high roller LCR. We will hold one game with $5 scratch offs and possibly a second game with $10 scratch offs. Sign up on the board to reserve your spot. All of Post 129 members are VIP starting on July 27th. 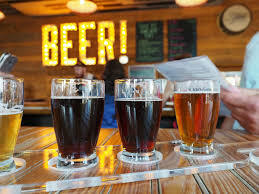 If you have been to the Post on a Friday or Saturday night recently I am sure you have noticed parking is getting more and more limited with the city construction and the parking lot more difficult to navigate. 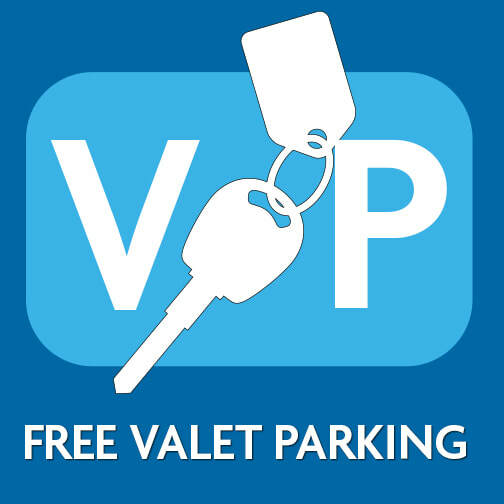 To help keep everyone safe and to try to make your evenings out a little more enjoyable and stress free we will be bringing in FREE valet parking on Friday and Saturday evening. Valet is being provided by Startlight Valet Services which is a veteran owned, fully licensed, and insured company so please know that your vehicle will be in good hands. Your safety is one of our top priorities and we believe that this service is one step we can take to ensure that we all stay that way. Also who else can say that their Post has valet parking? We encourage all members to take advantage of this service on the weekends. Join us Friday, July 27th for the ALR dinner. Dinner is being donated by Mission BBQ restaurant. They will be serving a pulled pork dinner with all the fixings for only $8.00. We also have a new band called the Litt Family band who I am told is amazing so be sure to come on out and let me know what you think. And of course steak bingo will be held at 630 pm. This is also the Friday we begin our new free valet service so don't worry about finding parking we will take care of that hassle for you. Hope to see you all at the Post. We are going to give this baseball outing one more try this year. 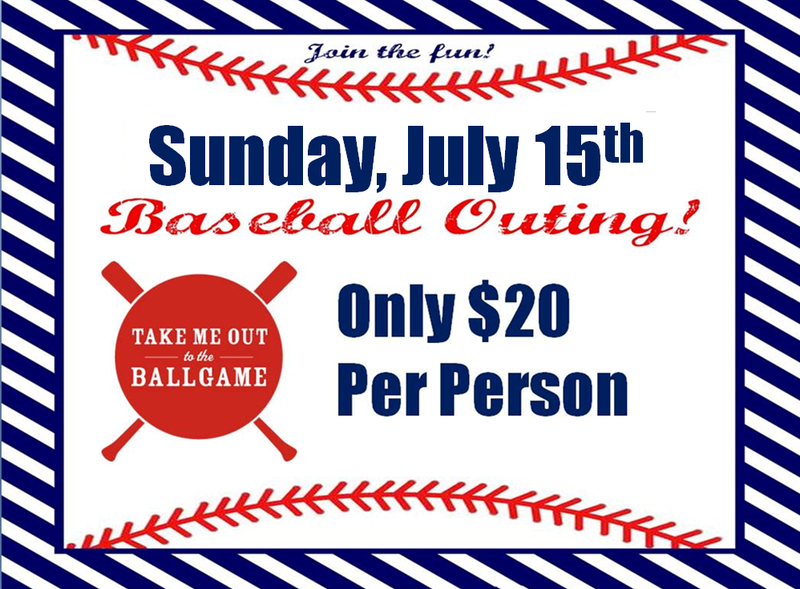 So mark your calendars and plan on joining us on Sunday, July 15th as we head down to root on the Jacksonville Jumbo Shrimp and support American Legion Day at the baseball grounds. The Department Commander will be throwing out the first pitch and a portion of the proceeds will go to the American Legion Baseball program. The cost to join in on the fun is only $20 per person which includes your ticket and your transportation. If you went with us in May and have your rain check ticket your cost is only $10 - just be sure to turn in your ticket so that I can exchange it for the correct date. There are a limited number of spots for this event so sign up as soon as possible to secure your seat. Anyone who has gone with us to any of our group outings will tell you what a great time they are. 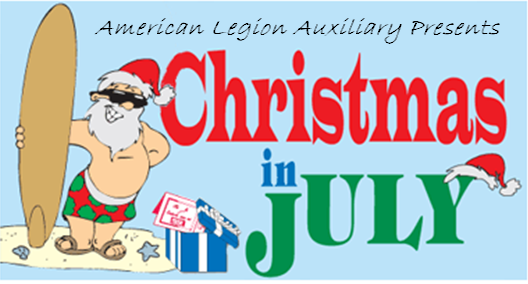 Mark your calendars and plan on joining us for the annual Auxiliary Christmas in July Auxiliary Fundraiser. This is always a fun event and you will not want to miss the Traditional Turkey and Ham Dinner with all the Trimmings. This year all proceeds from the event will be going to send sporting good equipment to our troops in Afghanistan. There are envelopes on the tree with what was requested. You can either donate the equipment itself or cash and the Auxiliary will do your shopping for you. On Friday, July 13th not only will the Auxiliary have the dinner to raise funds but they will also be running a silent auction, a 50/50 raffle and will be selling surprise goodie bags for only $5 each. So plan on coming out and support this great cause. 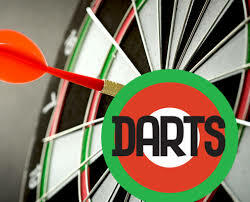 New dart league forming starting on Tuesday, July 10th at 6 pm. Regular session play begins at 7 pm. Must be a member in good standing to participate. 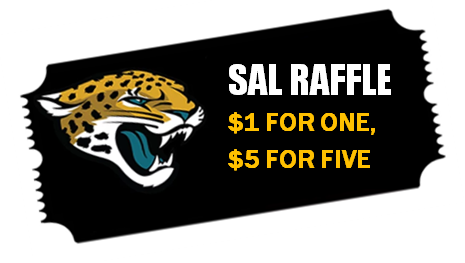 This month is the SAL raffle month. They are raffling off a basket full of Jaguars swag to get you ready for the upcoming season including shirts, hats, coolers, two club seats to a preseason game and more. Tickets cost only $1 for one ticket, $5 for 6 tickets. Winner will be drawn at the end of the month and you do not need to be present to win. Get your tickets today! 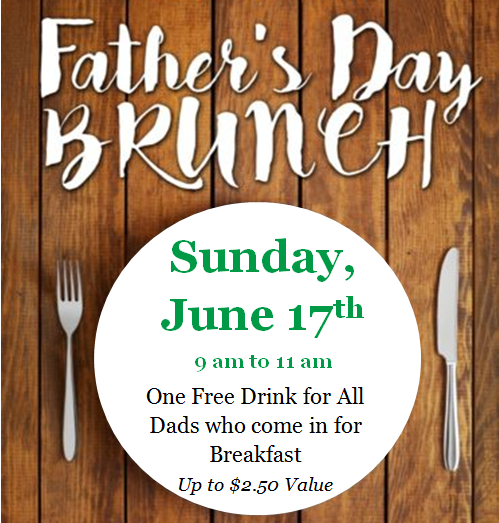 Join us this Sunday, June 17th for Father's Day breakfast. John Caputa and the SAL will be in the kitchen cooking up a fabulous meal to honor all of you Dad's. 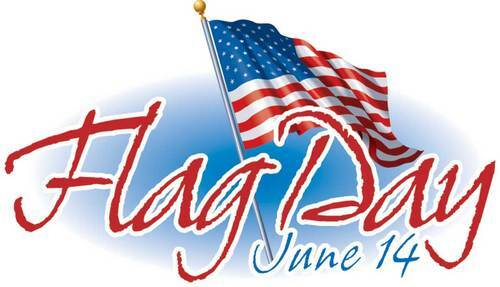 Please join us on Thursday, June 14th for our Flag Day celebration and ceremony at 6 pm. 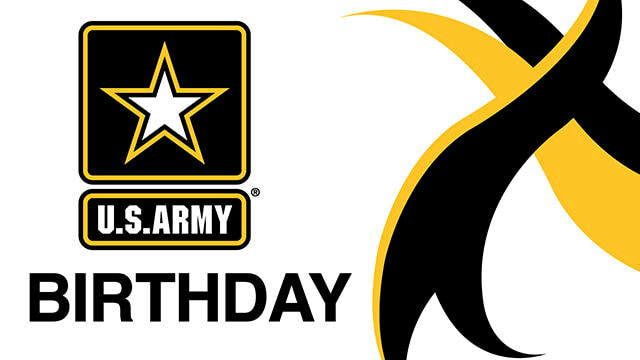 We will also be celebrating the Army Birthday directly following the Flag Day Celebration. All members are encouraged to join us for both celebrations. We will need help placing flags at the burial sites of our veterans at Warren Smith cemetery in Jacksonville Beach on Saturday, May 26th. If you are able to help please arrive at the cemetery no later then 8 am. Flags will be provided by Post 129. We will also need help with collection on Wednesday, May 30th at 8 am. On Monday, May 28th we will be hosting the Memorial Day Service at the Beaches Veterans Memorial Park. The service begins at 9 am and all members are encouraged to attend. At 2 pm we will hold a short ceremony at the Post. 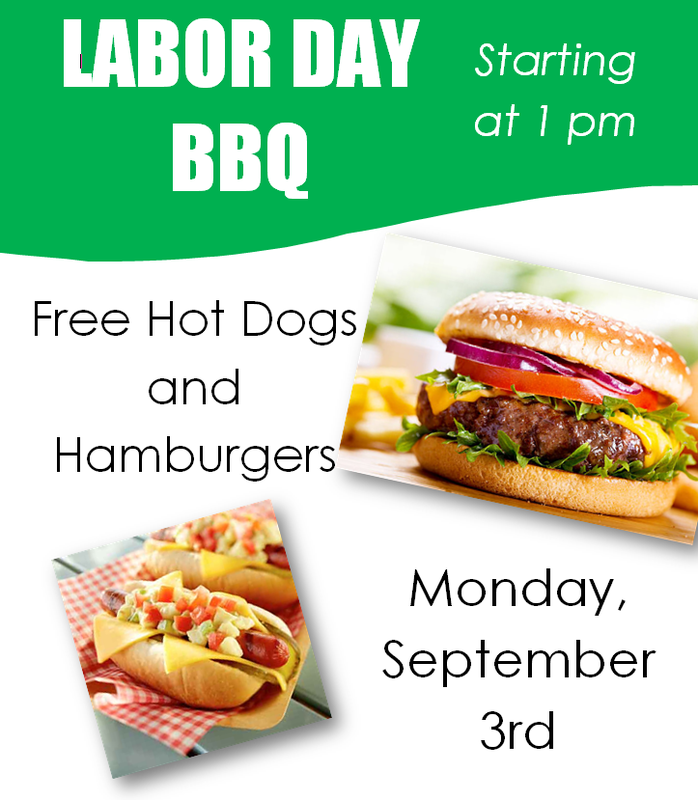 The kitchen will be closed that day due to the holiday so we will have hot dogs available for lunch / dinner. 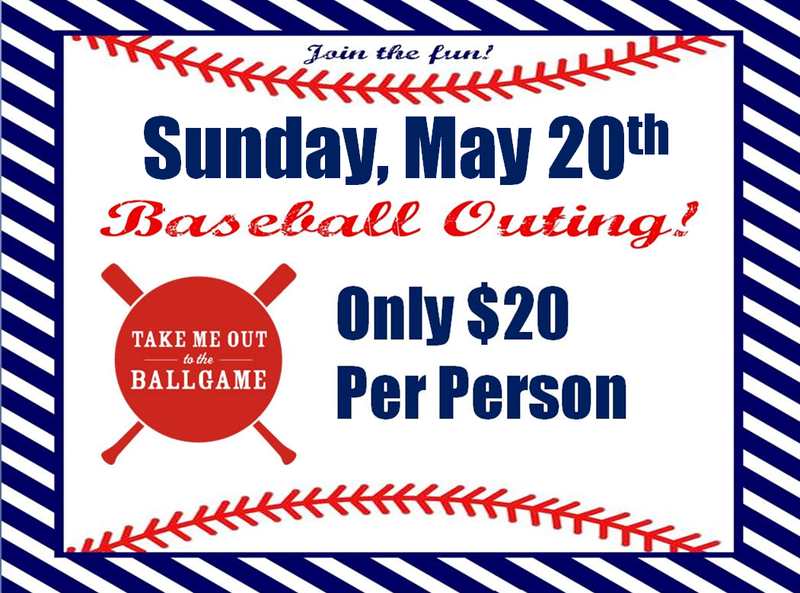 Join us on Sunday, May 20th for our 3rd annual baseball outing. The cost to participate is only $20 per person and includes your ticket and transportation from the Post to the game. This is always a fun filled afternoon that you do not want to miss. Sign up in the main canteen. Update as of May 1st - There is only 1 spot left on the bus for this event. Sign up soon if you do not want to miss out on the fun. I am asking that everyone pay for the event by Friday, May 11th. Update as of May 15th - There are now 4 spots left on the bus. If you would like to join us please let Brandi know as soon as possible. 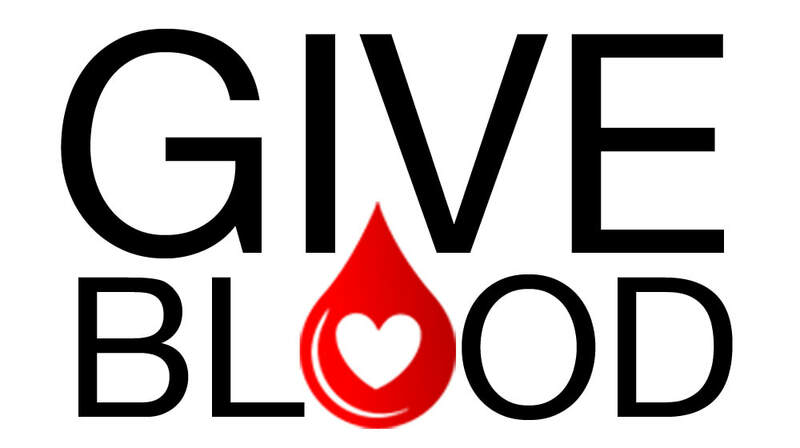 The Bloodmobile will be onsite here at The American Legion Post 129 starting at 11 am on Saturday, May 19th. 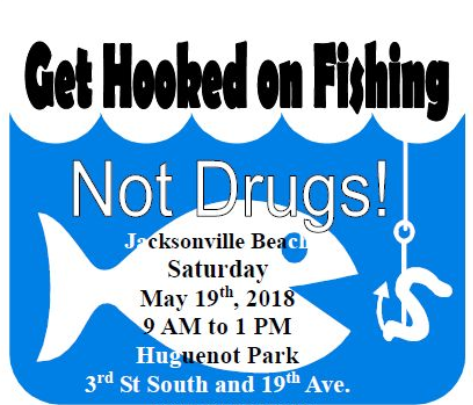 We are helping the city with their Get Hooked on Fishing event again this year so please mark your calendars. Typically we provide and hand out the food during the event. Once I have more details I will let you know. 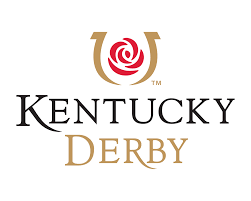 Grab your favorite hat and plan on joining us for our Kentucky Derby watch party. The Auxiliary is putting together the Derby party this year so we all know that it will be fantastic! They are still working out the details put it appears to be shaping up to a great party. I do know that the kitchen will be open and serving up the traditional Hot Brown sandwiches and that they are working on putting together so really fun games. So get out your favorite hat and plan on being at the Post. Yes we are planning on walking in the parade this year! Fred St Clair will be organizing the event this year. Please see him for additional details. Please join us for the 4th Annual American Legion Post 129 Golf Tournament on Saturday, April 21st, 2018 to benefit our Boys and Girls State programs. A great day of golf, fun & prizes is planned at the beautiful Oak Bridge Golf Club. We are honored to be the final stop for the BACA 2018 Dice Run on April 14th. They will be hitting 5 locations with our location being the final stop. The cost to join in on the run is only $20 per rider. High hand payout is $500! Starting at 4 pm the band What Four will be here to entertain us. There will be raffles, 50/50, and a silent auction as well. So plan on coming up and supporting another great cause. 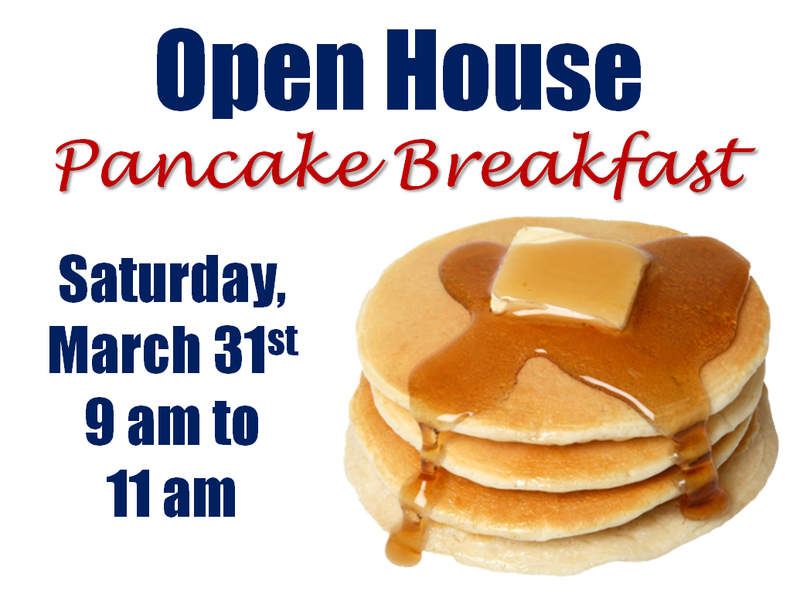 You’re invited to our open house pancake breakfast. This is a good opportunity to bring new members or potential members to the Post so they can see what we are all about. We have moved LCR to Saturday due to conflicts on Sunday. We hope to see everyone here. We will hold one game with $5 scratch offs and possibly a second game with $10 scratch offs. Sign up on the board to reserve your spot. 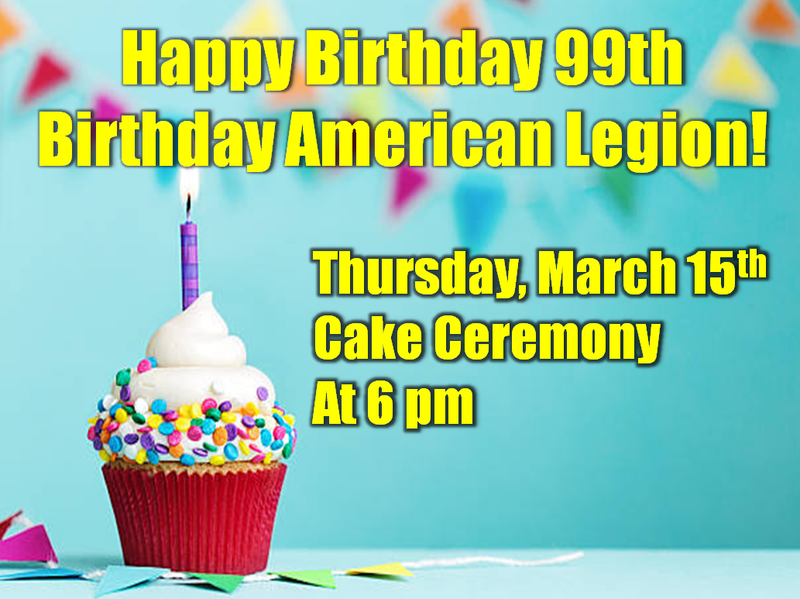 Join us on Thursday, March 15th at 6 pm for a cake cutting ceremony to celebrate the American Legion 99th Birthday! 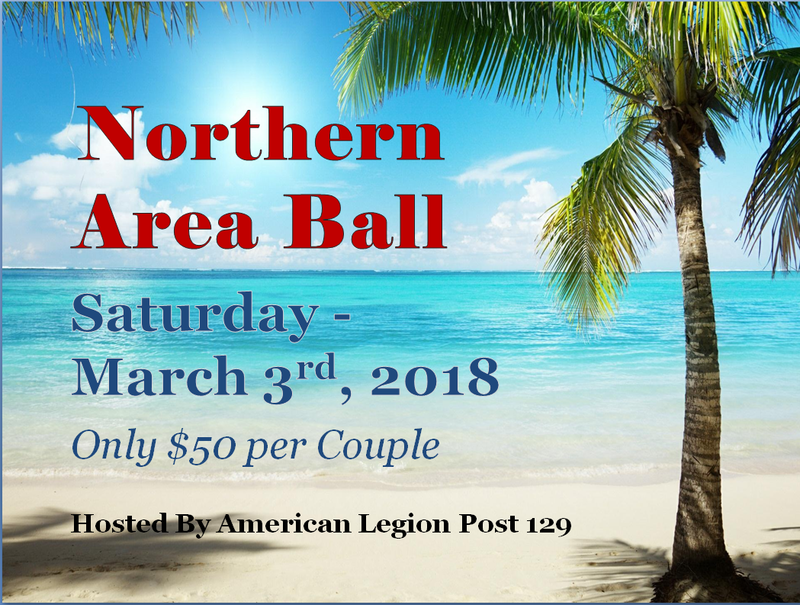 For more information or to make reservations for the Northern Area Ball please visit the Northern Area Ball page. 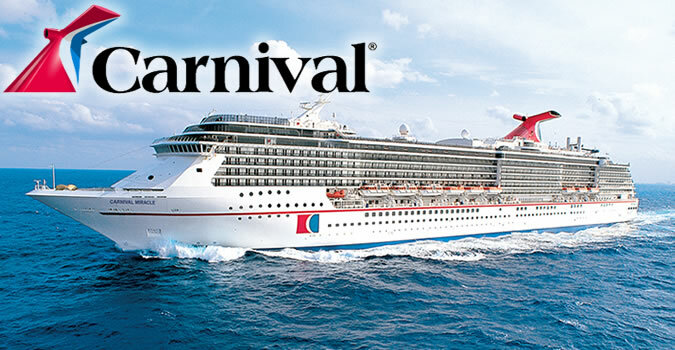 ​On Sunday, February 18th we will be holding a meet & greet / information session at 4 pm for everyone joining us on the cruise in April. We know some people have questions and we are here to help. 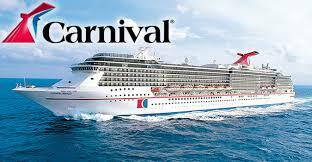 There is still time to sign up for the cruise if you care to join I am sure that this cruise will be a blast! Come out on the 18th and meet everyone else that is joining, get some questions answered, or for the cruise veterans answer some questions for the newbie’s. Reservations Required Only Limited Spots Available! 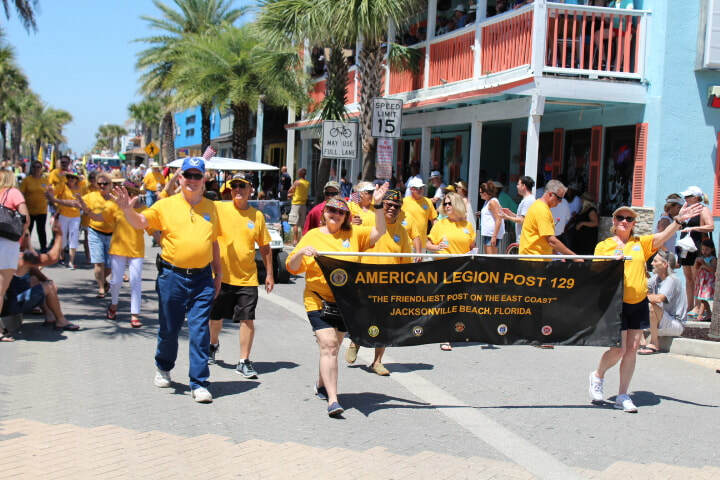 American Legion Post 129 is the perfect place to celebrate with your sweetie, by yourself or with the entire family! So mark your calendars, reservations will be available shortly. This dinner will take place in the back hall with special musical entertainment by Pat Rose. Dinner will be served in the back hall only. For the comfort of all of our members this will be a non smoking event. 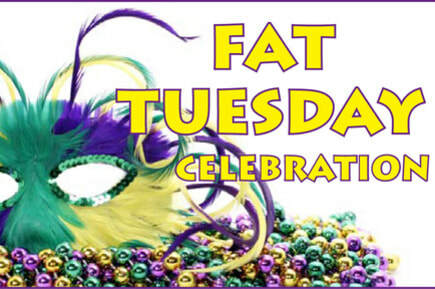 Mark your calendars and plan on joining us on Tuesday, February 13th for our Fat Tuesday celebration. We will have King Cake, Beads, Drink Specials on Hurricanes, and Fat Tuesday themed meal. 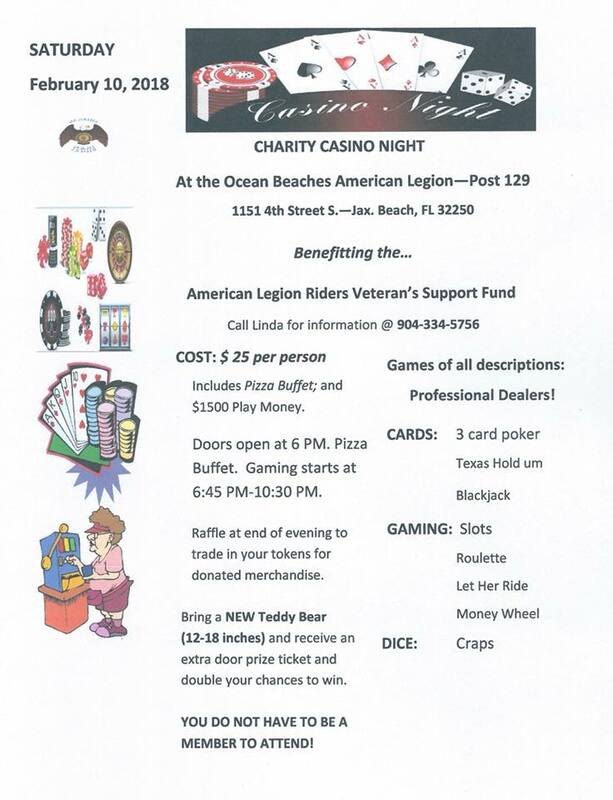 On Saturday, February 10th the ALR is planning a Casino Night to raise funds for their veterans support fund. Casino night’s are always a great time and I am sure the ALR will do a fantastic job hosting so mark your calendars. Tickets are available at the bar for only $25 per person - includes pizza buffet and $1500 in play money. Doors open at 6 pm, gaming starts at 645 pm. Raffle at end of the night. Join us on Sunday, January 28th for our third annual Shut up and Drink Tour. This is always a great time! We will be leaving Post 129 at noon and visiting at least three other Post in town. Cost to join is only $10 this year as we will not be having shirts made. Please sign up on the board if you are planning on joining by January 21st. 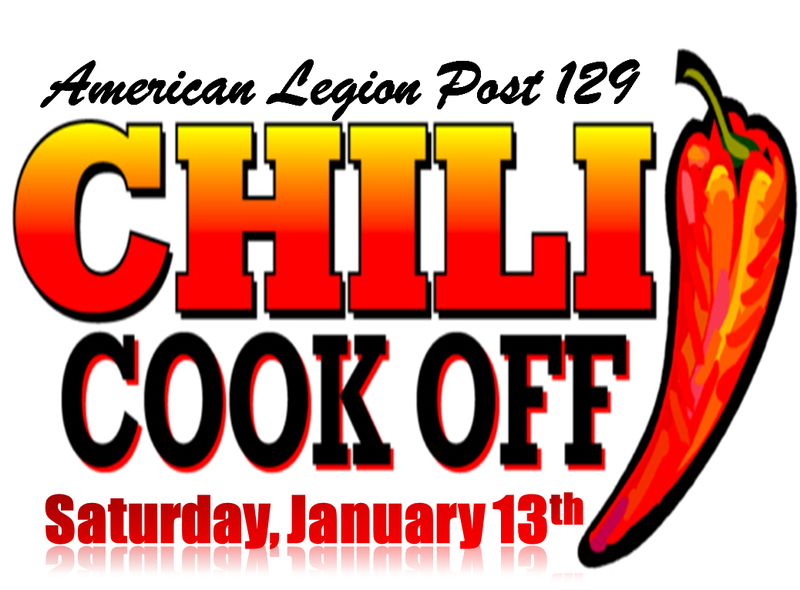 Mark your calendars and start experimenting the Post annual chili cook off will be held on Saturday, January 13th. More details to follow. Due to the increase of the Mega Millions we will be switching our lottery pool to include only the Powerball which draws on Wednesdays and Saturdays. The cost to participate for January is $18 per person – 9 drawings. If you care to join please sign up with the bartender by January 1st.